Suddenly every skier is talking about Sochi, the Olympic ski resort in southwestern Russia that didn’t exist, never mind make ski conversations previously. Now that Sochi and specifically Rosa Khutor has hosted the 22nd Winter Games, held Feb 7-23 2014, the Russian hills are alive with the sound of skiers and ski media. The Russians went with the “if we build it, they will come” ski philosophy, and it worked. Vladimir Putin himself, a skier, put serious dough into the lifts, hotels and snow here- the ski resort cost $2 billion. The Krasnaya Polyana valley is home to Russia’s alpine terrain and was spotlighted in the Winter Games 2014 with 60F degree weather, sometimes fog and others sunshine. 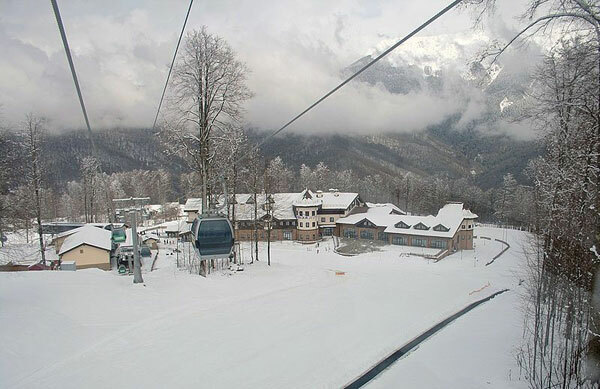 Sochi’s Rosa Khutor Mountain Ski Center is located on the Aibga Ridge just 30 miles from Sochi and the Black Sea. Rosa Khutor boasts a huge 5,725 feet of vertical, with a 7,612-foot summit, making it one of the biggest lift-served ski resorts anywhere – compare that to Whistler Blackcomb’s vertical at 5,020 feet. Sochi’s Rosa Khutor has 14 lifts and 78 kilometers of ski trails, and took from 2003 to 2011 to build. Most of the ski slopes are northeast facing, with the backside slopes facing southwest. Rosa Khutor opened for skiing operation November 2011, and has since hosted World Cup alpine events and the Olympic Downhill, Combined (downhill and slalom), Giant Slalom and the Super Giant Slalom. Rosa Khutor Extreme Park on the west side of the ski resort hosted the huge Snowboarding and Skiing Freestyle competitions – now the slopes are wide open for free skiers and riders from around the world. Psekhako Ridge, just 4 miles from Rosa Khutor,is the Olympic designed Nordic facility with trails, jumps and more. Former Breckenridge Colorado Co-President Roger McCarthy headed up the Rosa Khutor development – it is Russia’s largest ski resort including 10 hotel projects (Rezidor Hotel, Park Inn, Radisson Blu, Golden Tulip Rosa Khutor Hotel and Tulip Inn Rosa Khutor), Accor, Mercure Hotels, Swissotel, and Heliopark). The thousands of hotel beds in the Rosa Khutor ski base village complete with a signature Clock Tower like Vail and Stratton, hope to beckon Russian skiers and Europeans to come on a ski vacation to Sochi. The modern lifts, trails and $100 million in snowmaking should assure you of great snow and skiing. Not sure about the après ski ambiance- except that it probably includes Vodka, plenty of it if you are paying cash. As for taking your family to Sochi Russia for a family ski trip, we have yet to ski these former Olympic venues, and stay in these new hotels, so you will have to wait for our receommendation. 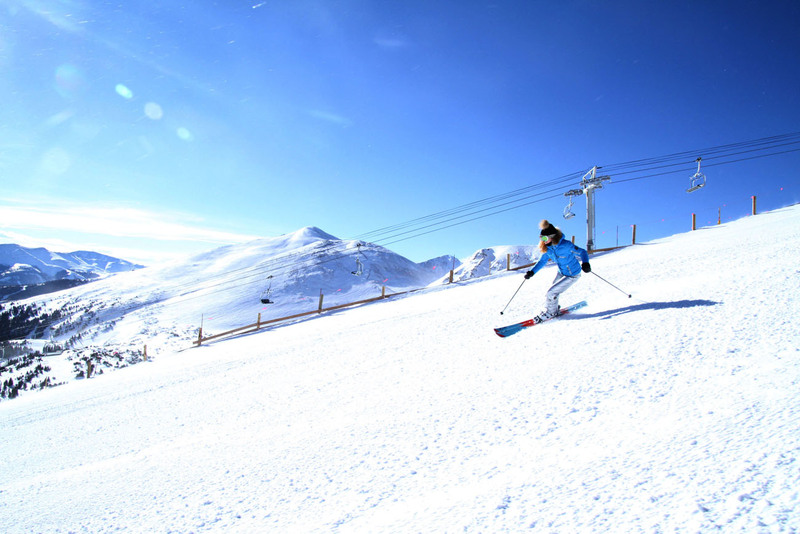 Meanwhile check out more established ski resorts in the Alps of Europe.